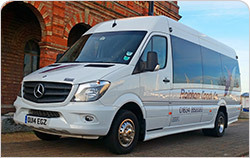 We run a fleet of 19 Mercedes Benz vehicles. Each vehicle is operated at the highest standard, and is immaculate inside and out. 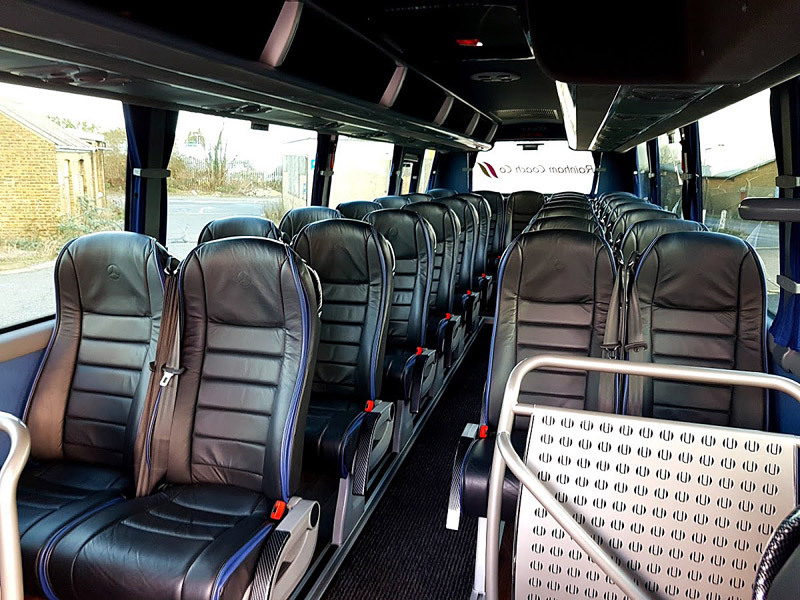 * On selected vehicles only. 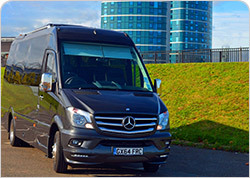 Based on the Mercedes Sprinter, these vehicle are comfortable to travel in and have great styling. 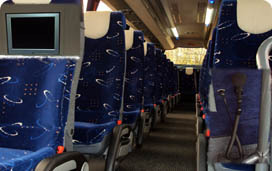 They also come with seating options, including larger boots, more seats and wheelchair access*. 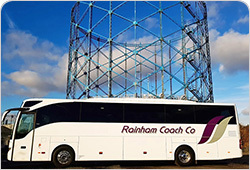 If you would like to find out more information about our coaches please visit our contact page. 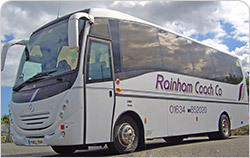 Alternatively if you would like a quote for your journey please visit our request a quote page. 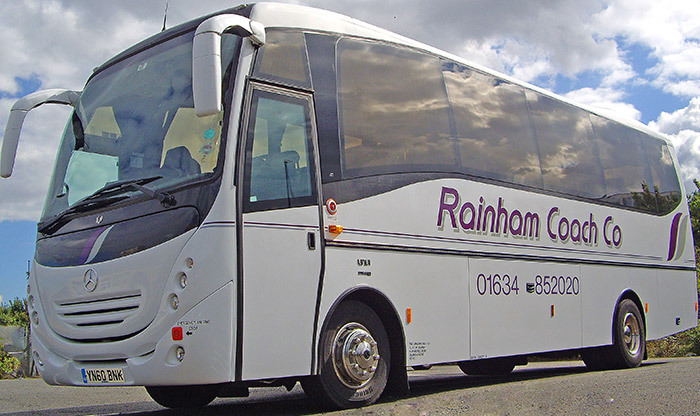 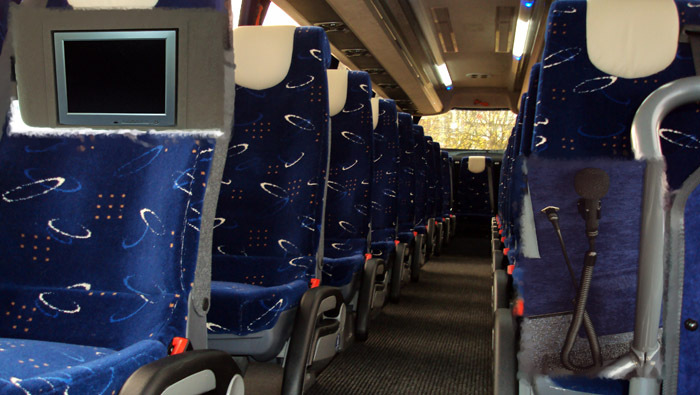 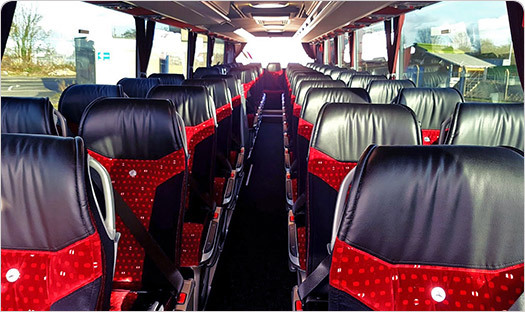 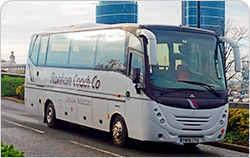 With full size coach seats and ample leg room, these vehicles are great to travel in. 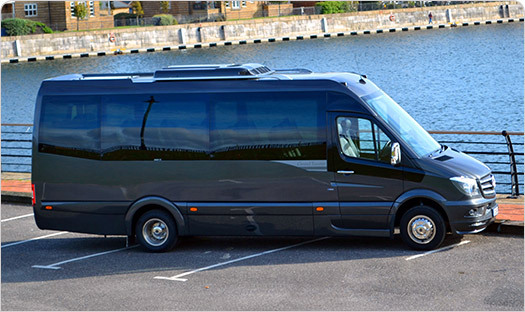 The 19 Seater comes with a big enough boot for 19 passengers luggage. 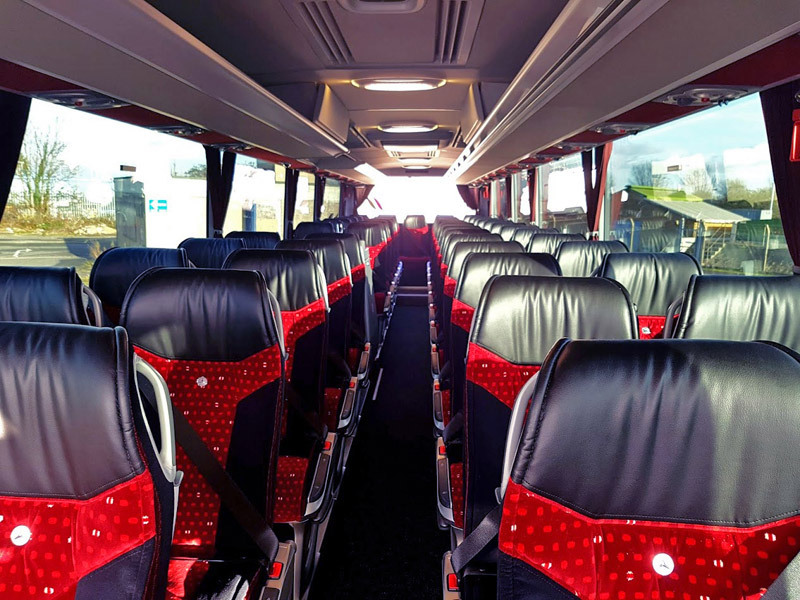 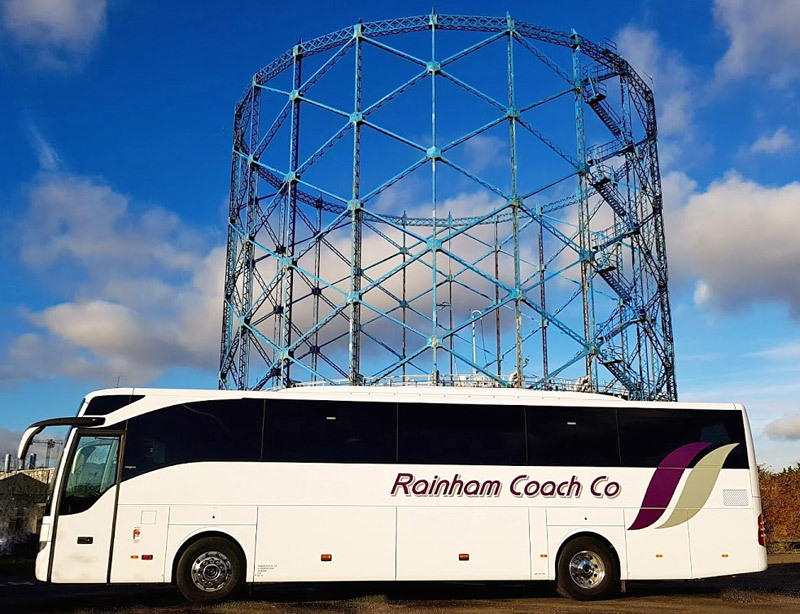 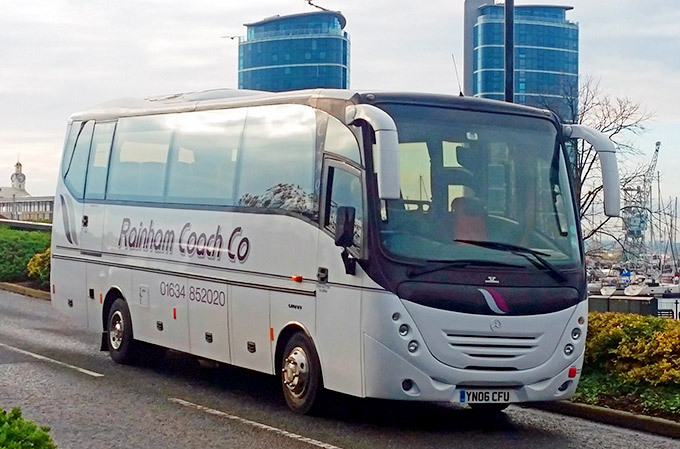 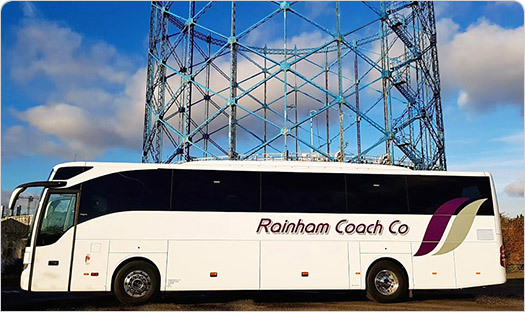 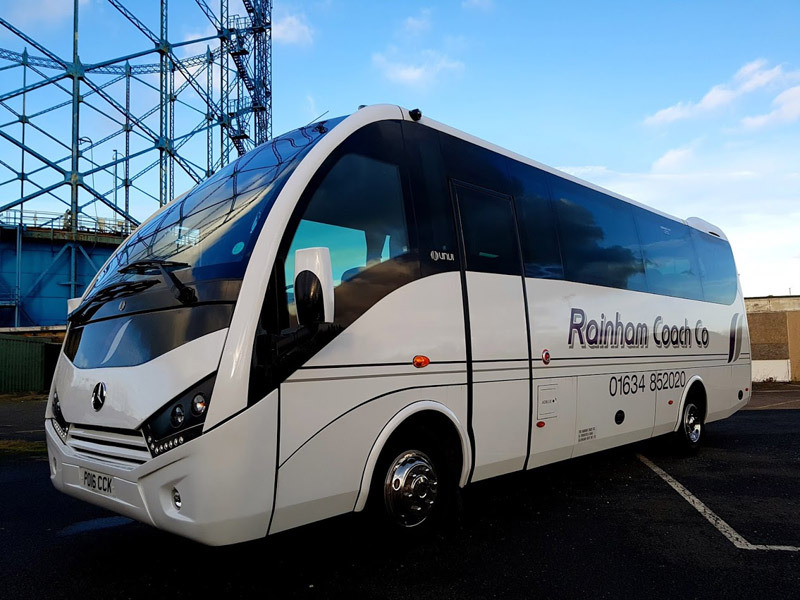 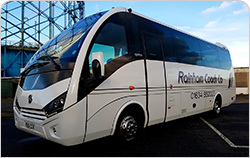 Comfortable, luxurious and with added bonuses of full air-con and reclining seats, this really is a superb vehicle to travel in. 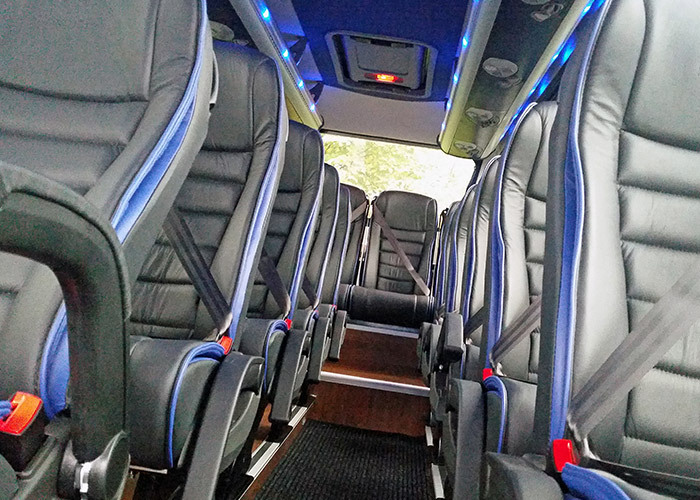 The Turas 900, with its sleek styling and superb interior, is a great choice for parties of up to 33 passengers. 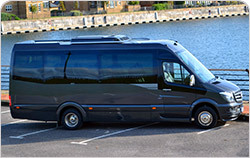 Full Air Con and enough boot space for 33 passengers luggage, make this a superb vehicle to travel in. 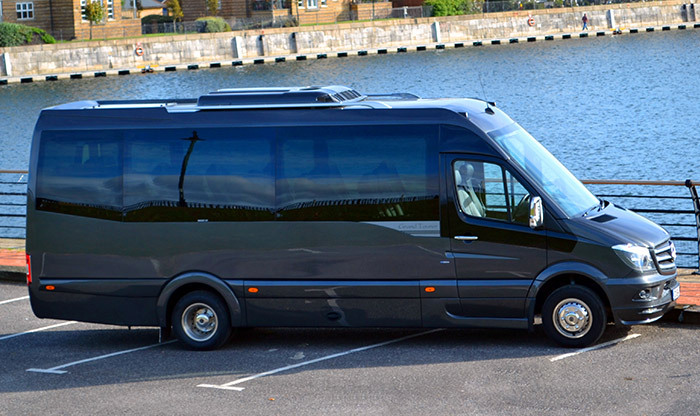 Our Mercedes Touring would suit all occasions. 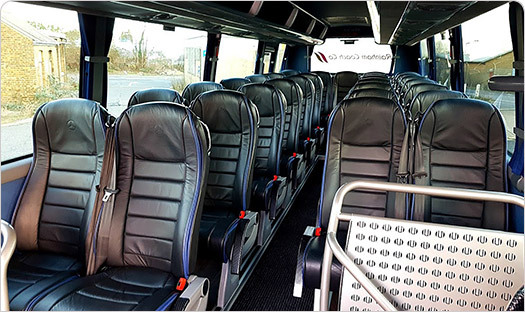 With its 41 full size reclining coach seats, air conditioning, DVD Player, PA System and huge luggage space, it is a great crowd-pleaser. 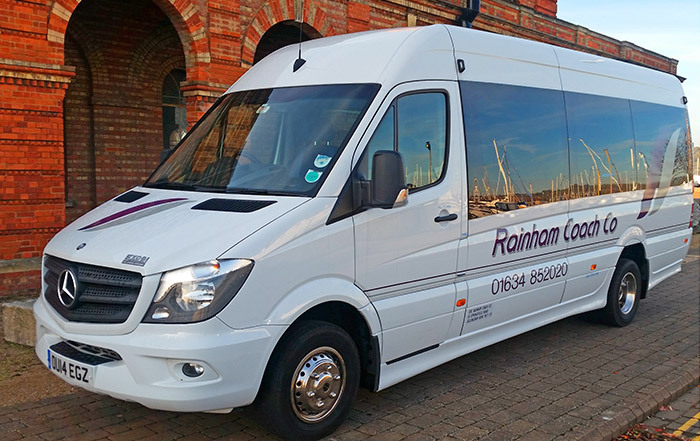 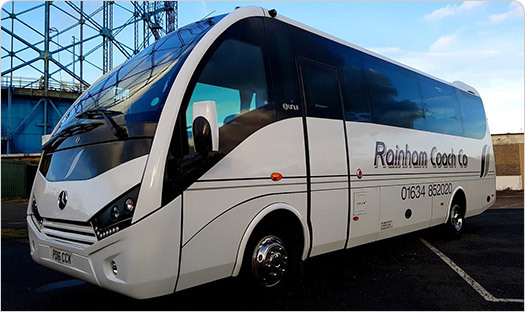 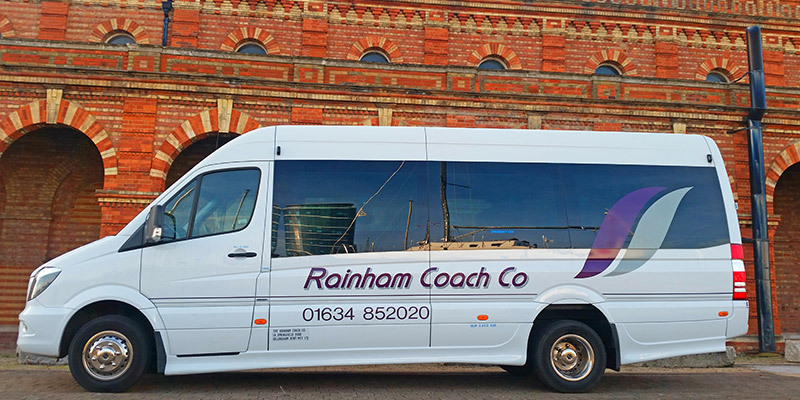 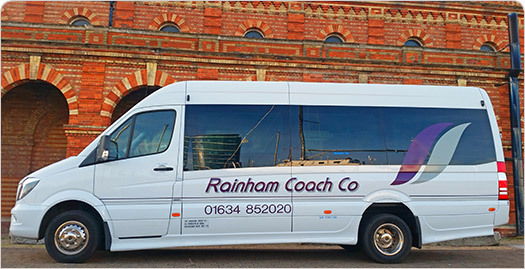 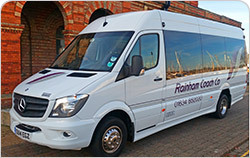 Ideal for school trips, weddings and corporate hire, we are sure you will appreciate the newest addition to our Mercedes fleet. 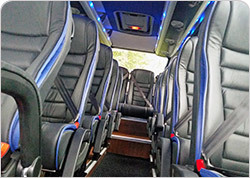 "Thank you for the exellent service provided. 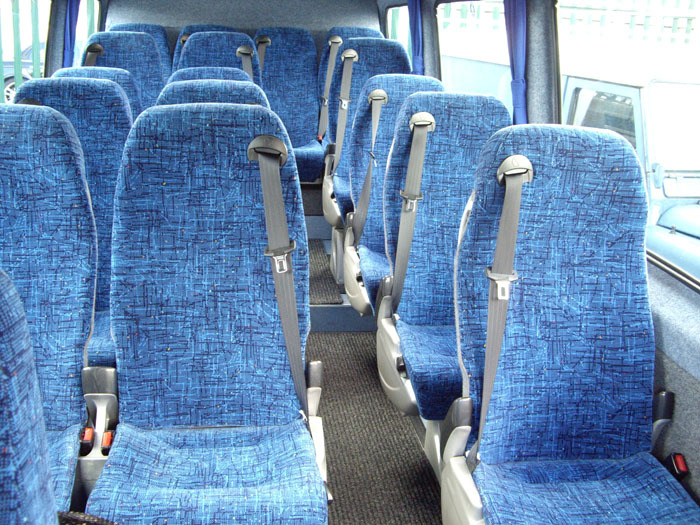 The driver did an excellent job. 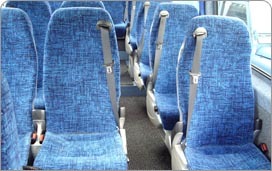 He turned up on time and was very helpful. 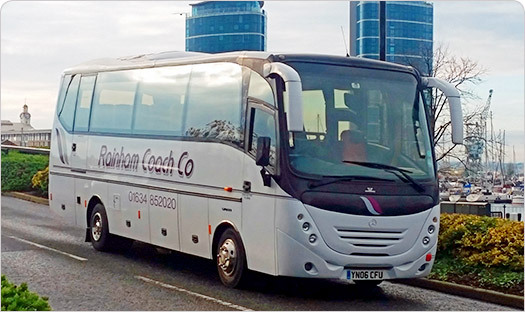 On our return the Luton Airport, he was in Arrivals to meet us and directed us to the coach"